If you need an evening appointment, contact us for special arrangements. If you have never used a longarm, never fear! Take the Longarm Quilting 101 class, reserve your studio block time, and you are ready to quilt. 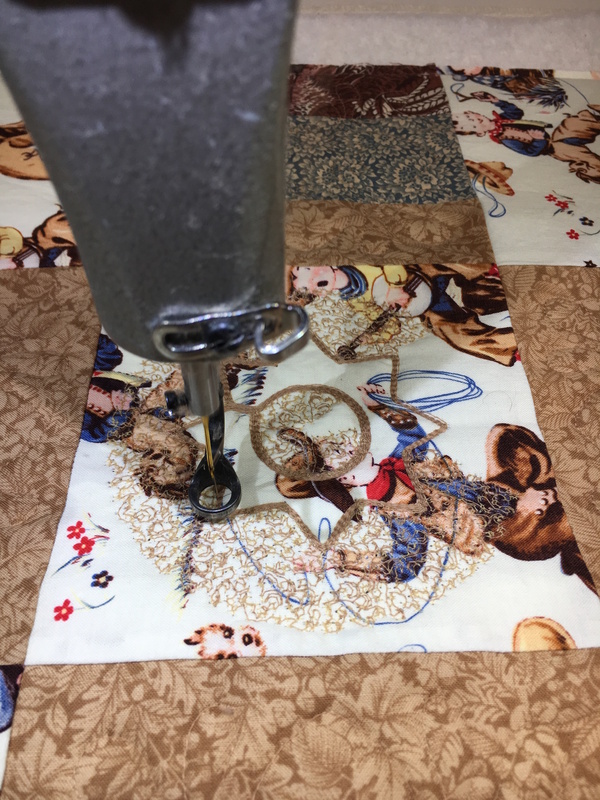 If you are already an experienced longarm quilter, contact us to discuss whether the prerequisite class can be waived before reserving studio time. Your quilt will be completed on a computer-guided Statler longarm machine. Choose from over 100 thread colors and 1800 or more edge-to-edge quilting patterns. Browse our patterns online! Prices start at $0.025 per square inch for a basic edge to edge pattern. You can also choose customized options, such as separate borders, sashing, blocks, and other options available using Creative Studio 7.1. Prices for customized options are dependent on the amount of time to set up and complete the different options. Additional services are available, such as creating the quilt back from yardage, binding by hand or machine, adding a quilt sleeve, etc. You can also purchase batting – we carry Hobbs and Quilters Dream batting in natural and white, in weights from light to heavy. Do you plan on coming to Burlington Electric Quilters on a regular basis? Becoming a BEQ subscriber allows you to purchase blocks of time and qualifies you for a lower hourly rate. Purchase 12 hours for $240, or 24 hours for $432. Subscriptions expire 6 months from the date of purchase.